nice.. very useful code !! And don't use repeating because services will stop only ones. 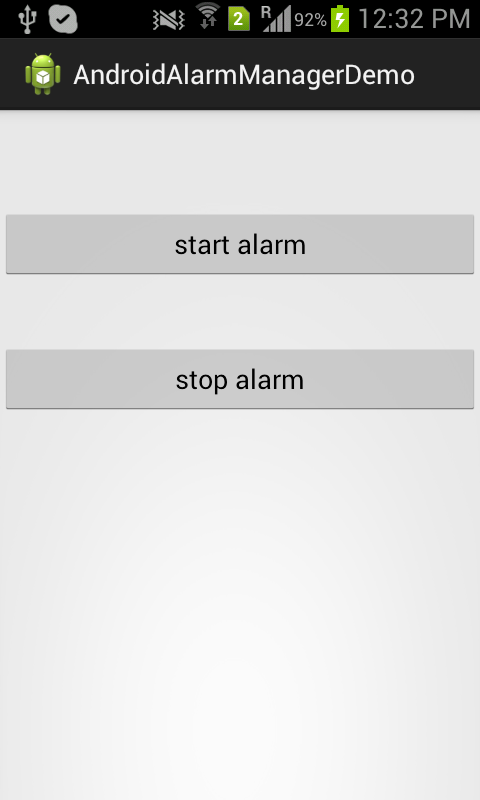 how can i do this when the date of alarm are stored in the database ? instead of calendar.getTimeInMillis() pass your database time in Calender format. hello.code is working properly.but when i close application,alarmmanager class also stops to send broadcast.and no notification is displaying.what is solution for that? is it really? which phone? 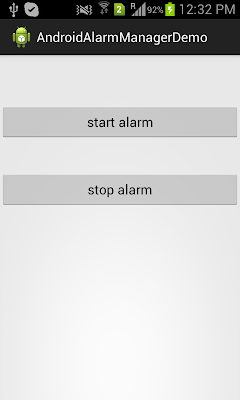 I don't know what is the reason, anyway please check your Alarm Manager is calling to Broadcast Receiver and receiver generating notification. but this code always has stopped.